Find it hard to gain a cell phone jammer that can block the 4G Wimax signal and at the same time will not be easy for others to find it? Then this 10W Hidden Style 4G Wimax Cell Phone Jammer (2345-2400MHz) can be your best choice. 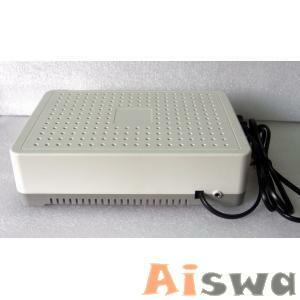 This 4G jammer id designed to only block the 4G Wimax 2345-2400MHz, not 4G Wimax(2620-2690MHz), but at the same time it can block the signals of CDMA(870-880MHz), GSM(930-960MHz), DCS(1805-1880MHz), PCS(1930-1990MHz) and 3G(2110-2170MHz). And the jamming range of it can reach up to 40 meters at most because of the good design and stable capability that it owns. And because of the design of cooling fan inside it won’t produce high temperature when it is working. What’s more, it owns the characteristic of easy to install and on wall or put on desk for camouflage. The application area of it is also very wide, as it can be used in places like meeting rooms, conference rooms, museums, galleries, theatres, concert halls, churches, temples, restaurants, classrooms, training centers, factories, banks, trains, bus and many other places. However, for some locations of special purpose such as hospitals, gas stations and more, you need to do field test first to make sure no interference happened to the normal operation of their equipment and instrument. Wanting one? Just come here and size the chance, as high quality and reasonable price are promise here. 1. We only use fast shipping such as DHL,UPS, FEDX. NO CHINA POST AIR MAIL,NO HONGKONG POST AIR MAIL. 2. Shopping cost: for Aliexpress service we provide some free shipping to most of country by DHL, UPS, FEDEX, EMS ,if your country is not included in the range please click to select your country and the system will show you express fee.